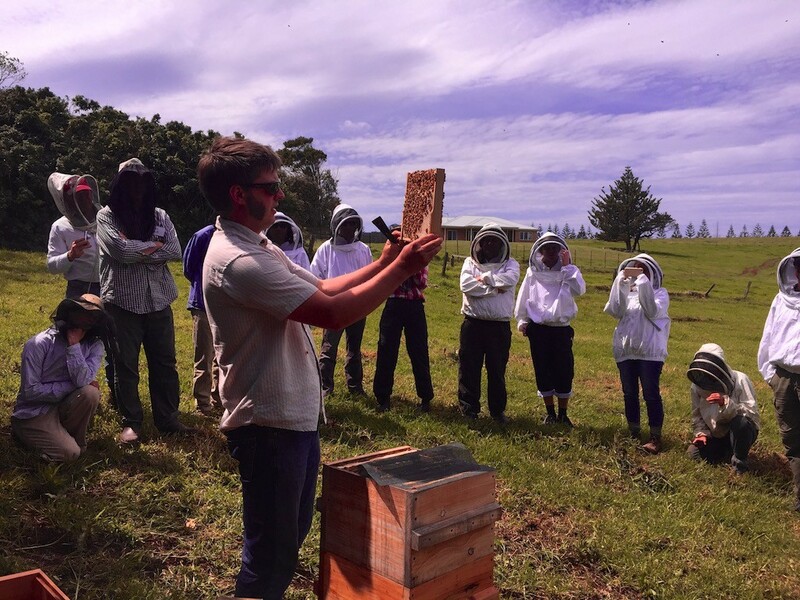 18 months ago we said goodbye to our Milkwood Farm bees, which, after we left the farm, went to live at Rahamim Ecolearning Centre in Bathurst. 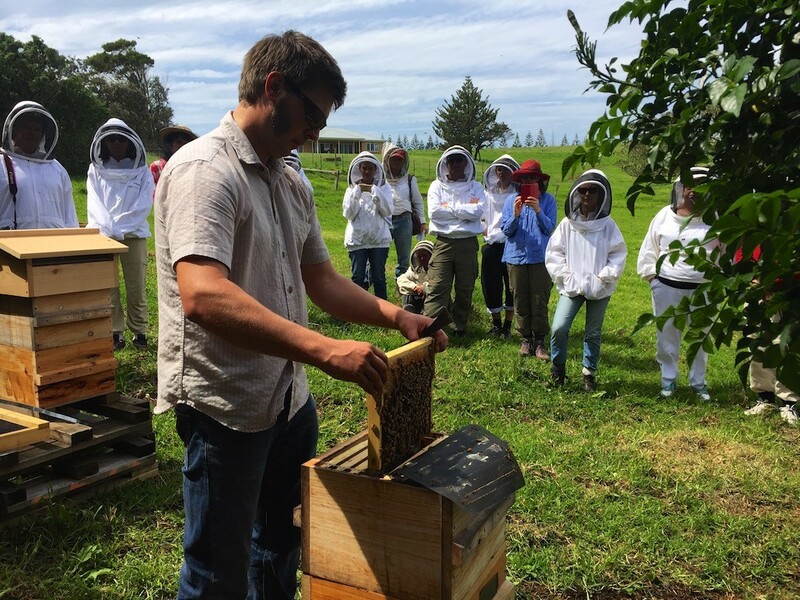 It was a great place for them to go – similar climate, better nectar foraging (being on the edge of a large town), and right in the middle of the Rahamim community garden – they’re now managed by Tim Malfroy. The plan was that, when we figured out where we were going, that Tim would bring two colonies to replace our Mudgee ladies. But we’re now permaculture renters, and not sure if and when we’ll put down roots again, at least in a land-ownership kinda way. So where to put the bees? Fortunately we have amazing friends. 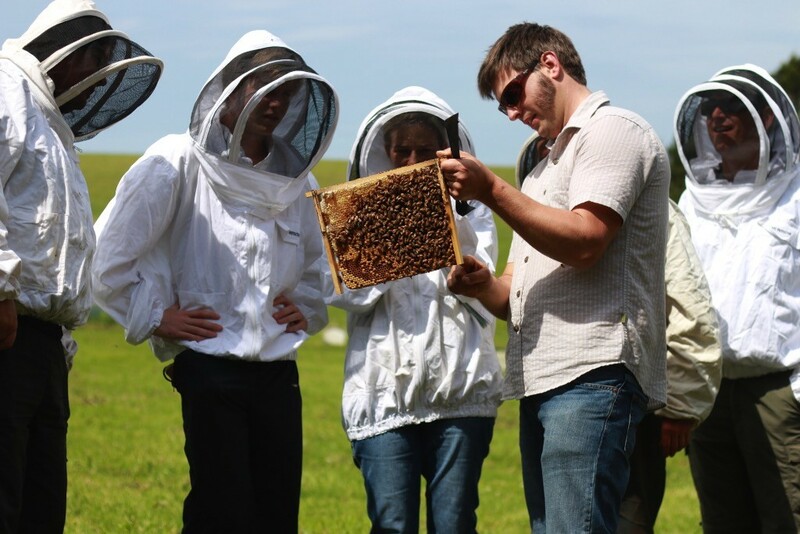 When we asked Adam + Fiona of Buena Vista Farm if we could site a warré apiary at their farm, they said of course. And so finally finally, thanks to our ongoing collaboration with Tim Malfroy, the bees are now back. Not precisely our previous bees, but two happy and healthy colonies. Thanks, Tim! Adam and I did a walk around the farm to look for suitable spots – wind protection on the coast is a big factor. 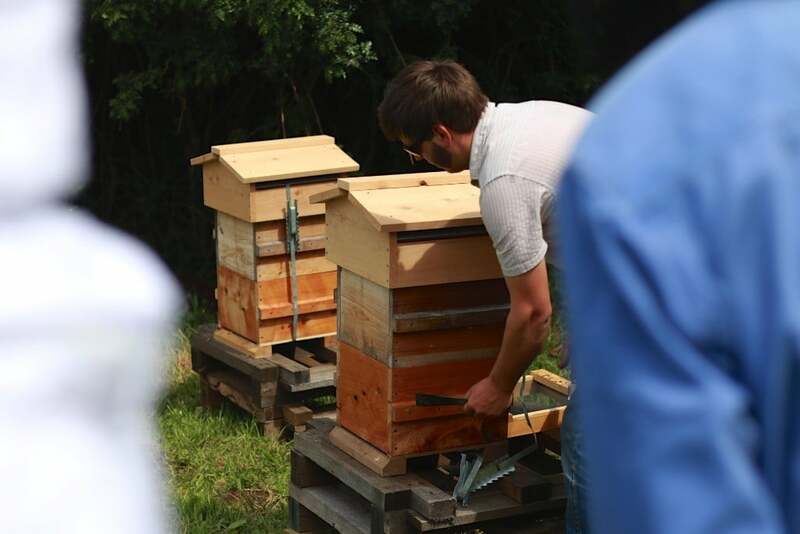 Also, Adam has 5 hives of his own, around the market garden – we wanted to keep ours a bit separate. The hills around this farm are full of clover-laden pasture, and the costal nooks bloom with banksias, an important winter forage. There’s also Gerringong, a town of 8,000 people, right next door with all it’s gardens. 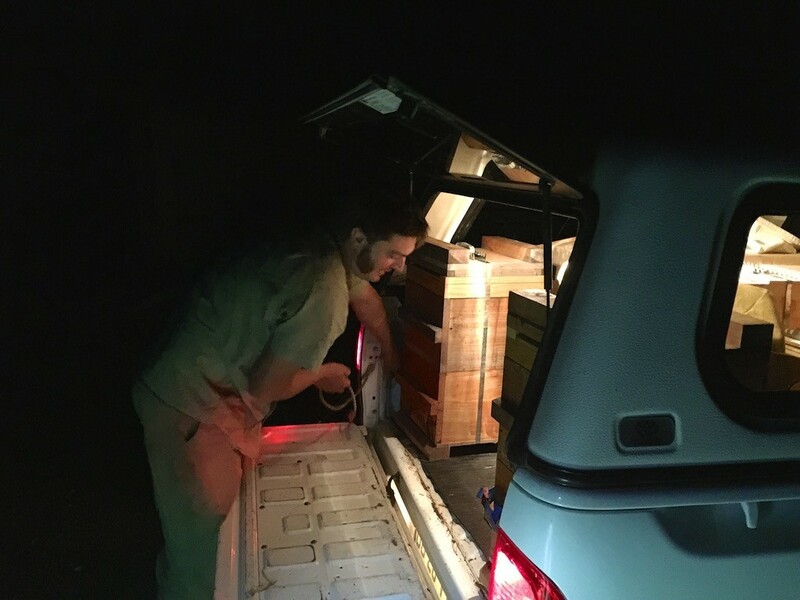 The bees arrived late in the night, as Tim had to wait until they had stopped flying in the evening to put the hives in his ute. 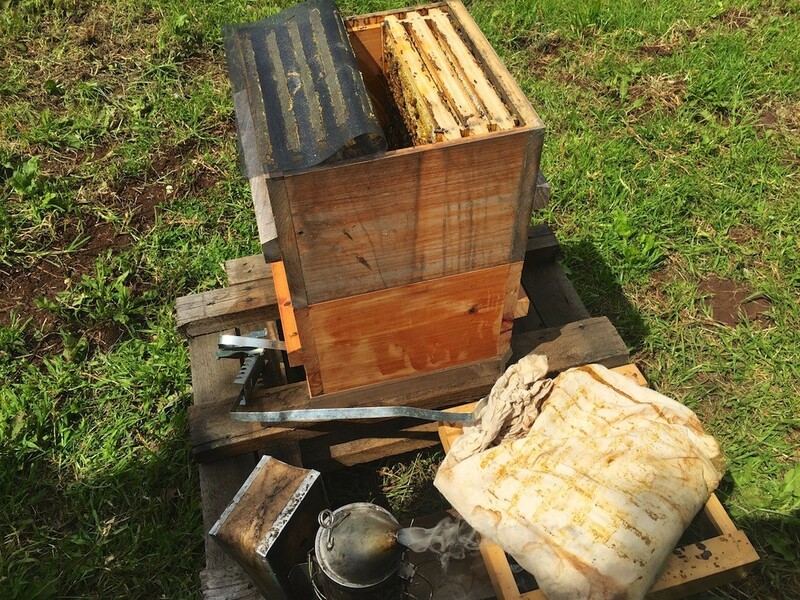 Of course, in the way of Murphy’s law, it was a hot day up in Kurrajong so the bees stopped flying at about 6pm. Then, a 2.5 hour drive to Gerringong. Nice end to a long working day for Tim. 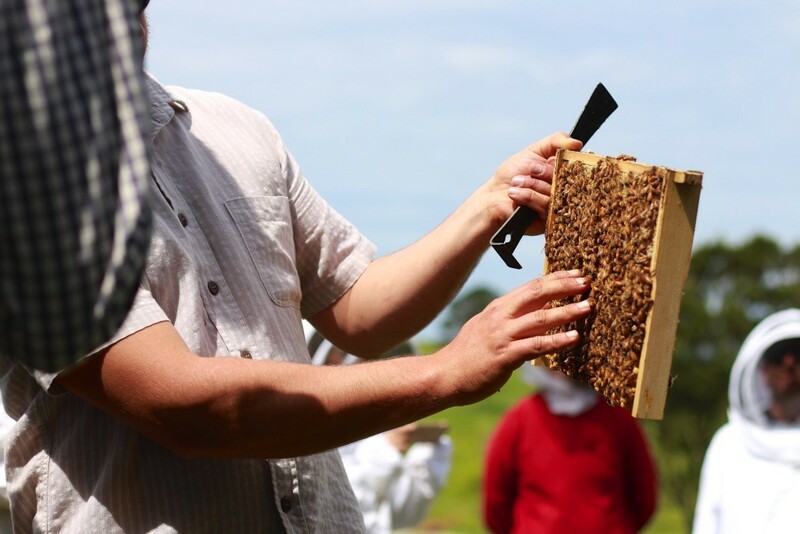 The bees were installed on hardwood pallets (that had been levelled) about 30cm from the ground. 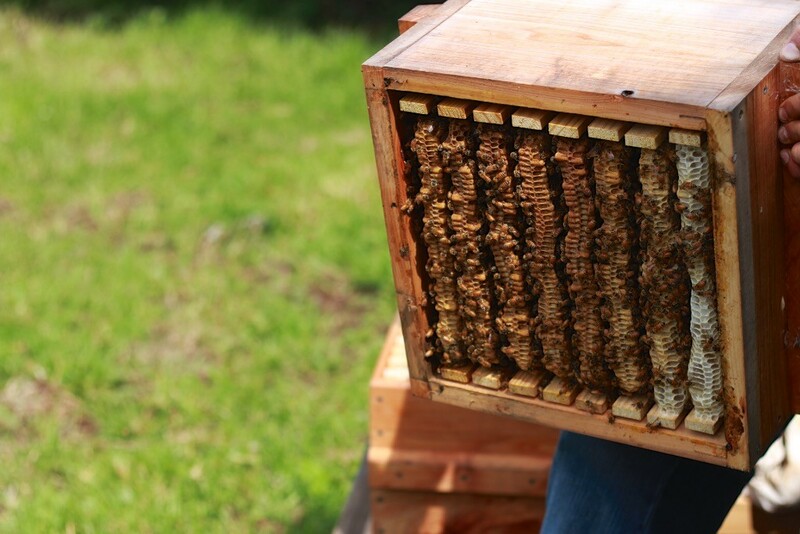 We’re expecting the bees to do well here and the hives to get up to 4 boxes high. So since I’m not the tallest person, keeping the hives at a lowish point will allow me to reach the top! 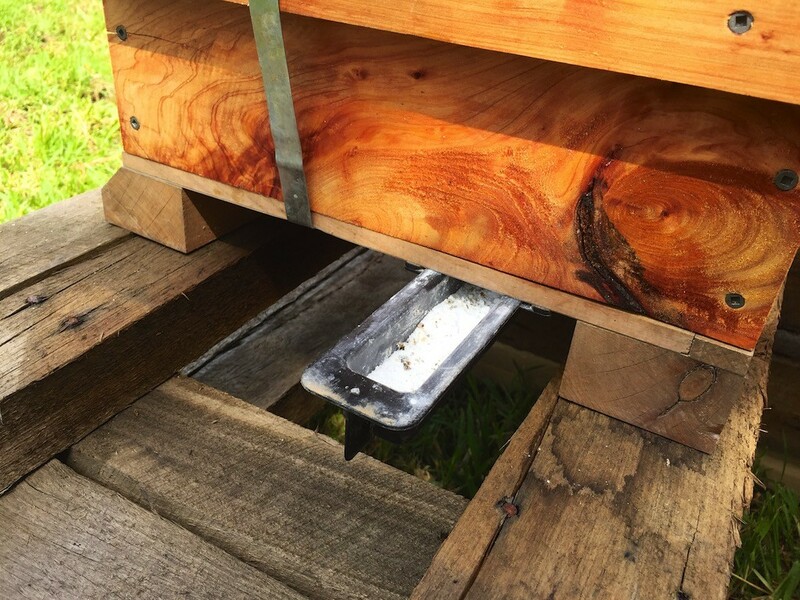 Small hive beetle trap - slotted hive base witha trap of ag lime beneath. Effective an non-toxic to bees. 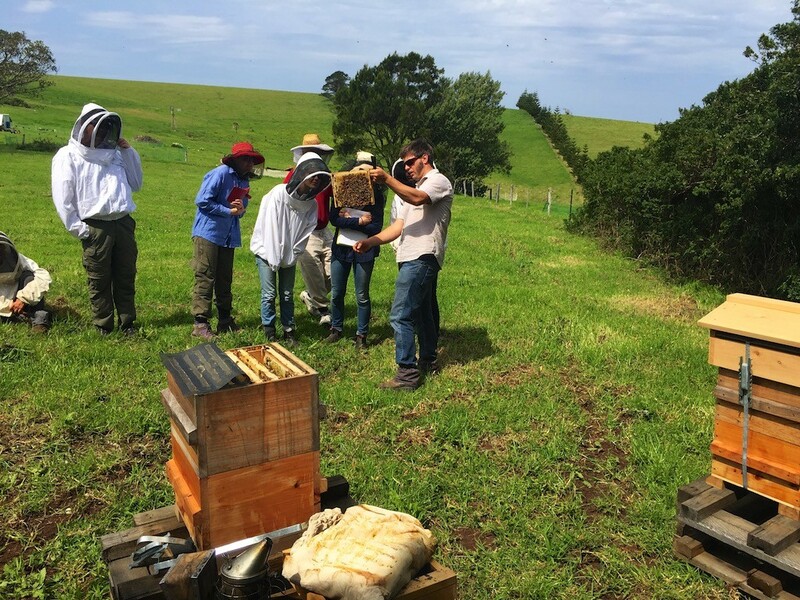 The day after the bees were installed was our first Natural Beekeeping course at Buena Vista Farm, so it was a perfect opportunity to check that the bees had travelled well and than all was as it should be. 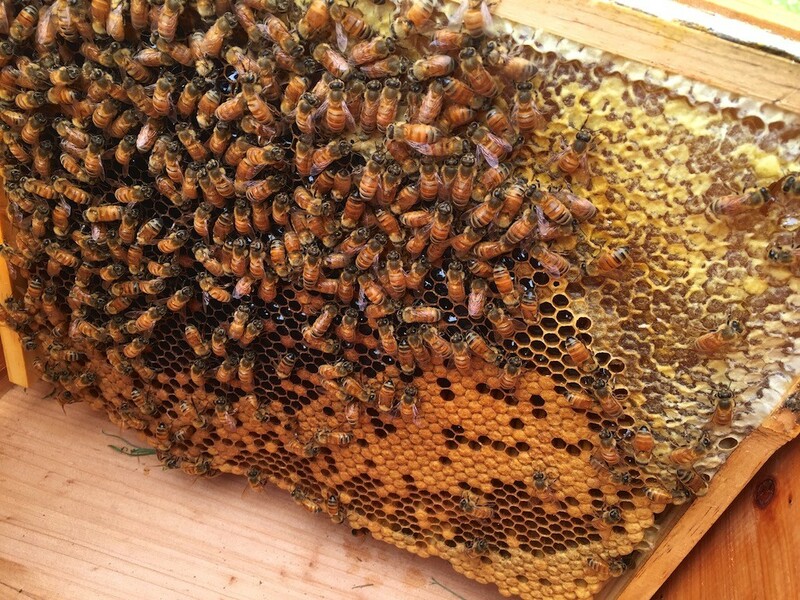 Both colonies seemed happy and healthy, with capped brood and already a fair bit of honey stores. They should have a great season here. 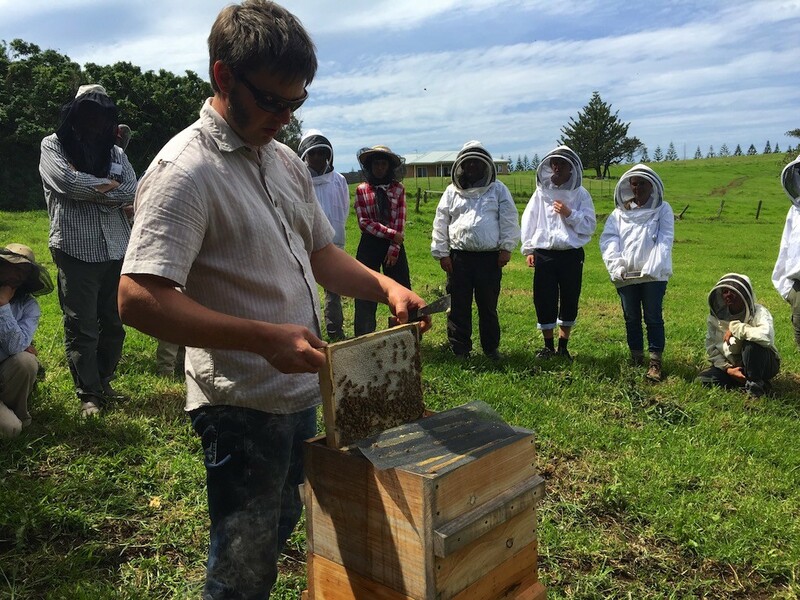 Within a week of installing this apiary, Nick had caught two swarms from a nearby property. As you do. One was on a driveway, and the other was hanging from a tree branch. 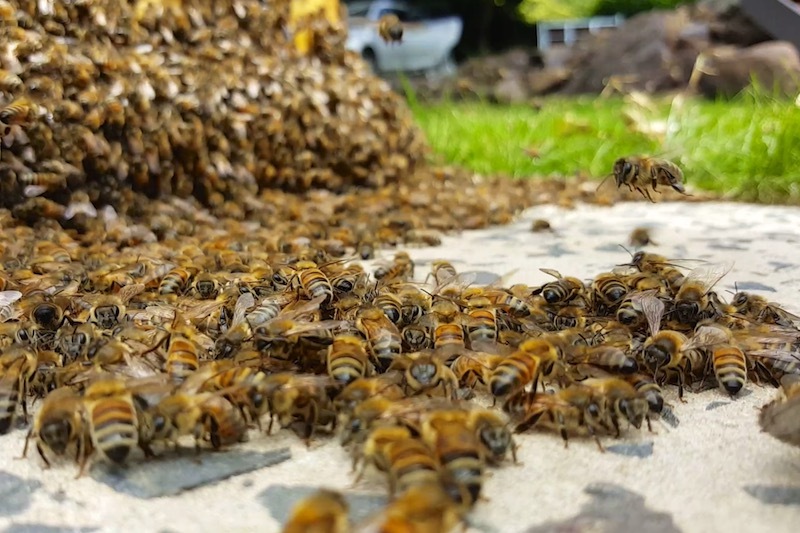 Clearly all the bees of the area think it’s going to be a bumper season, if they’re swarming in the optimism that they can find a home and build the comb and honeystores they need over this Summer. 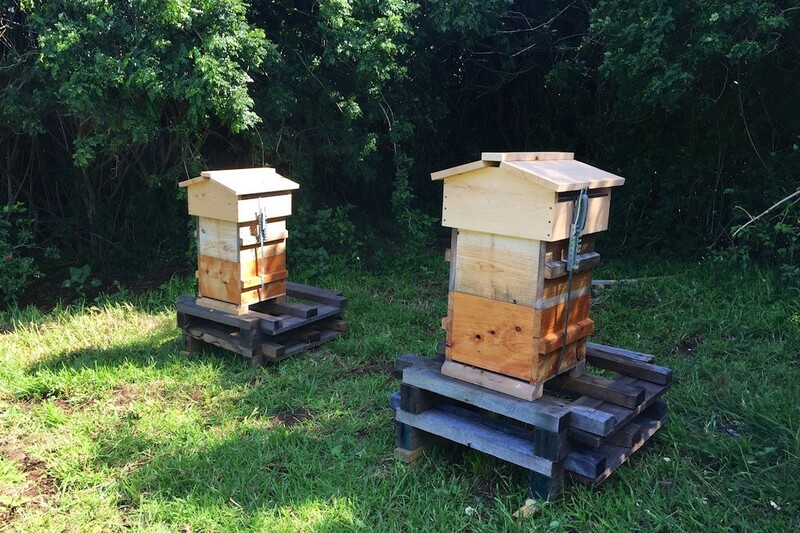 Both swarm catches went remarkably well (thanks, bees!) 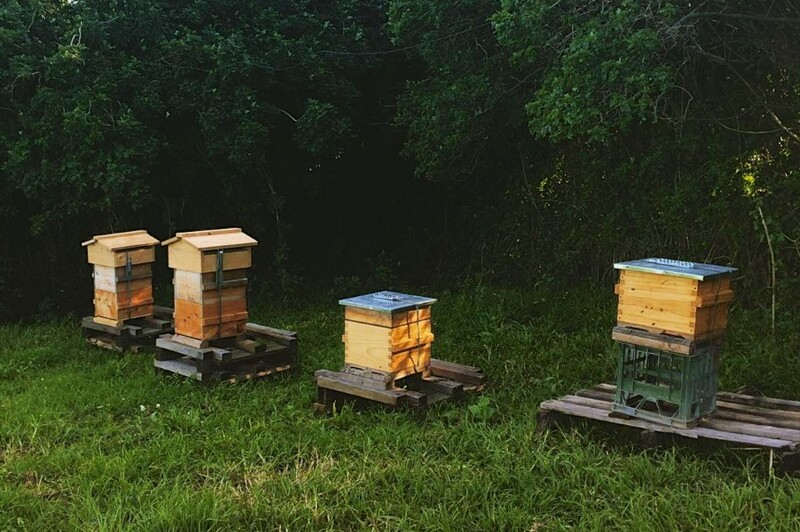 so now our apiary is four hives strong. Yikes! Looking forward to what the season brings, and learning as we go. 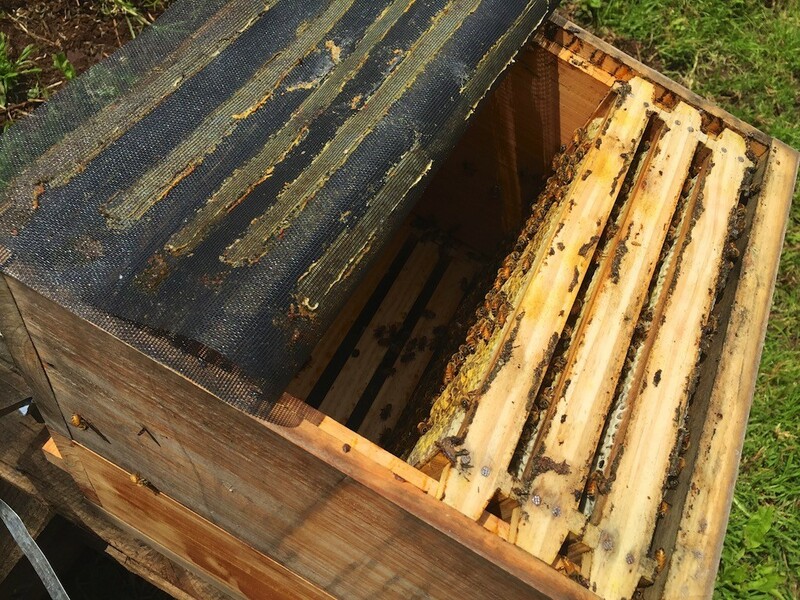 In a few weeks we’ll check the colonies and add boxes underneath if the top ones are full of comb and the colonies are going gangbusters. 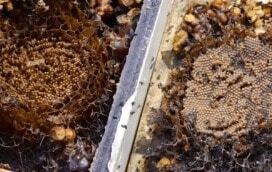 By adding boxes to the bottom of the colony (a process called nadiring), we’re allowing the bees to build comb and progress the brood nest downwards, keeping the space above their brood tightly packed with honey and pollen at all times, as the bees prefer. And someday soon, there might be excess honeycomb to spare. Here’s hoping. 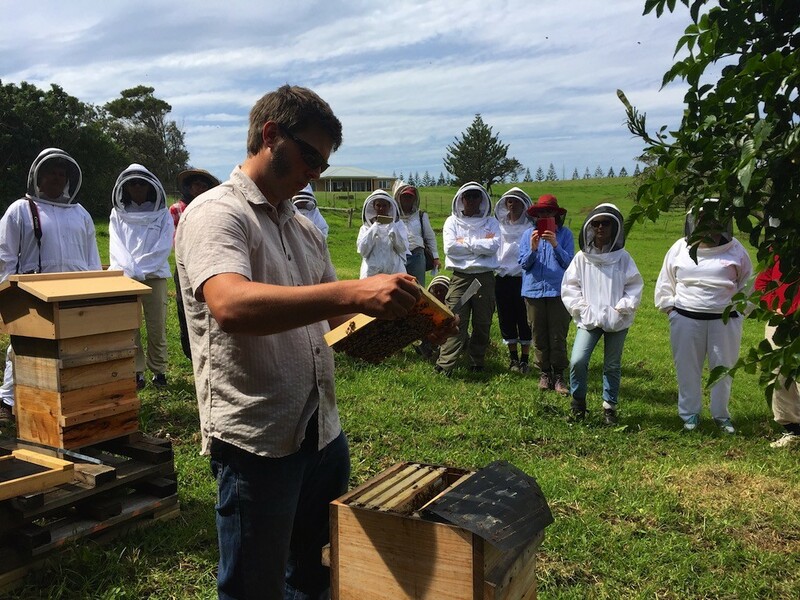 A big thanks, as always, to Tim Malfroy, and also to Adam + Fiona of Buena Vista Farm for letting our bees play at your place. And thanks to Linda, the nice home owner who called her local farmers instead of the pest control when swarms arrived at her place! Go community. Picture credits – Images 1,4,11-13 by Tricia Hogbin, pic 17 by Meimoo. 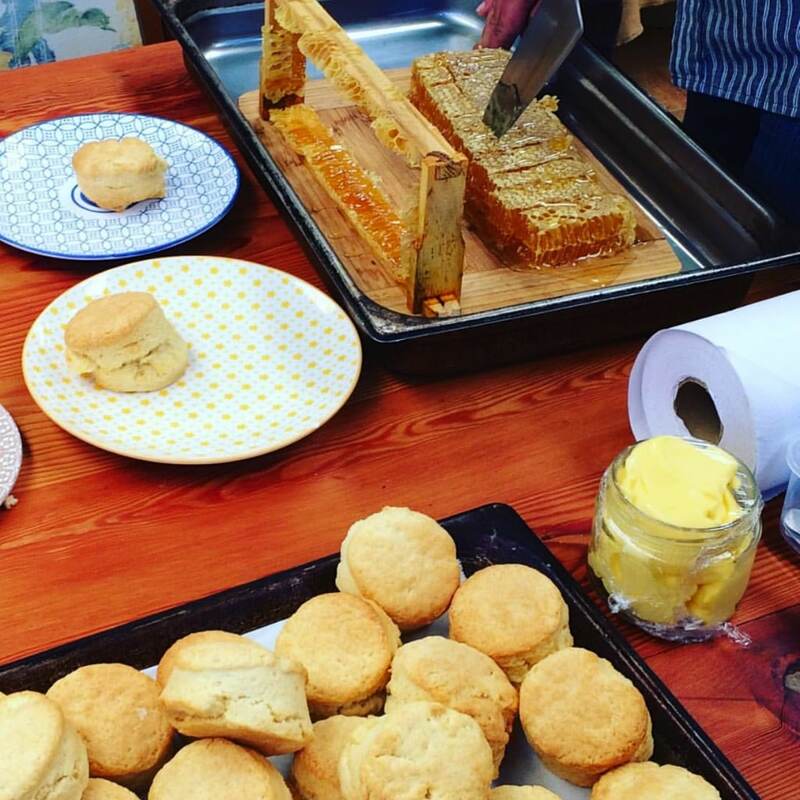 Harvesting a box of warré honeycomb is an exciting event in any . .